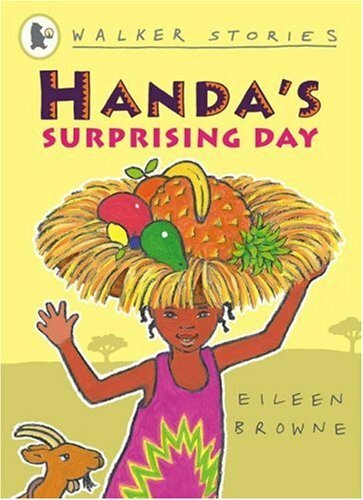 Handa’s stories are well known from Eileen Browne’s picture books. This repackaging of stories from Handa’s Surprise and Handa’s Hen reinforces just how dynamic the interaction between words and picture is, because black and white versions of the illustrations are a let down, depriving this edition of the stories of a vital ingredient. The result is something of an irritation. It’s impossible to read this title and not compare the dull volume with the original, bright and beautiful texts. There is the inclusion of ‘The Big, Bad Goat’, a follow up to the original Handa’s Surprise . This will provide something of interest, reversing the original story and showing Handa’s return journey. One possible place for this book would be as a bridge for young readers from picture book to novel, providing them with the experience of reading stories without bright, full page pictures. Otherwise, give me original Handa stories any day.